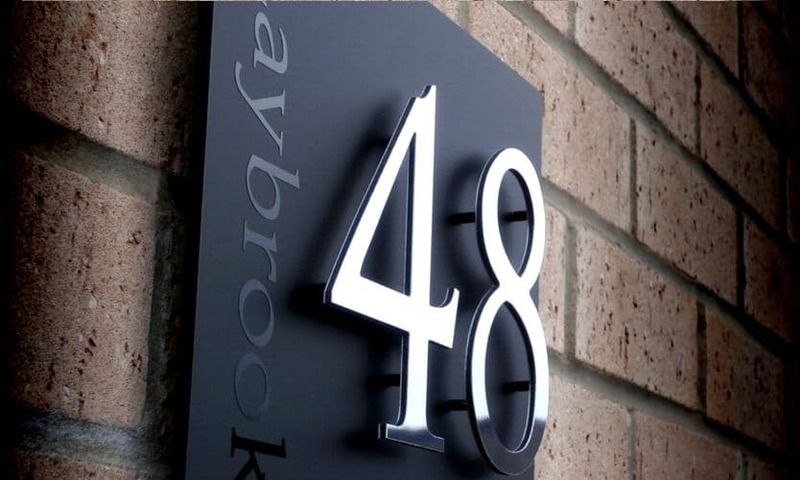 A contemporary house plaque with floating numbers on Italian matt acrylic. 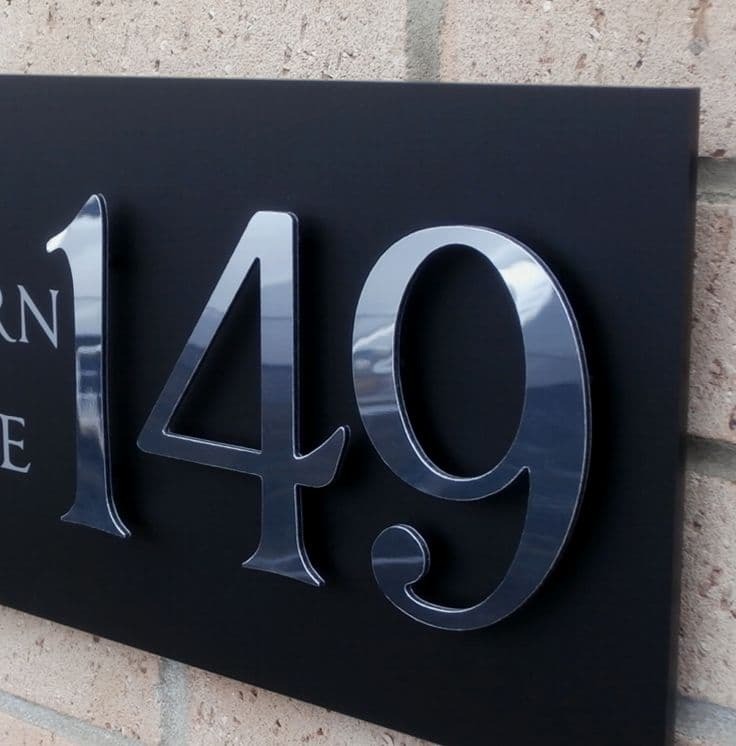 The Sorrento is a stunning modern designer house number sign that truly makes a statement. Design your own to compliment your home and achieve instant curb appeal. The plaque is available in many sizes starting from 200mm x 200mm going up to 400mm x 1500mm making it ideal for a large range of properties. Creating your own personalised Sorrento has never been easier using our innovative designer. Choose your style, colours and fonts. Floating numbers are available in a range of finishes from brushed aluminium to chrome mirror offset by a choice of black or white Italian matt acrylic. We have 23 sizes for you to select from. We have selected the finest range of fonts to display your text and create your floating numbers. 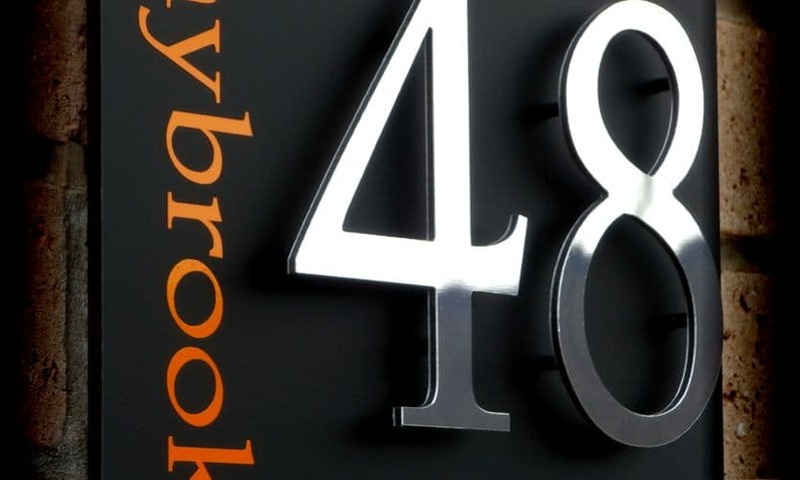 Choose from a large range of colours in gloss or frosted vinyl along with cut numbers to complement your look in brushed silver, black or white aluminium or shining chrome. 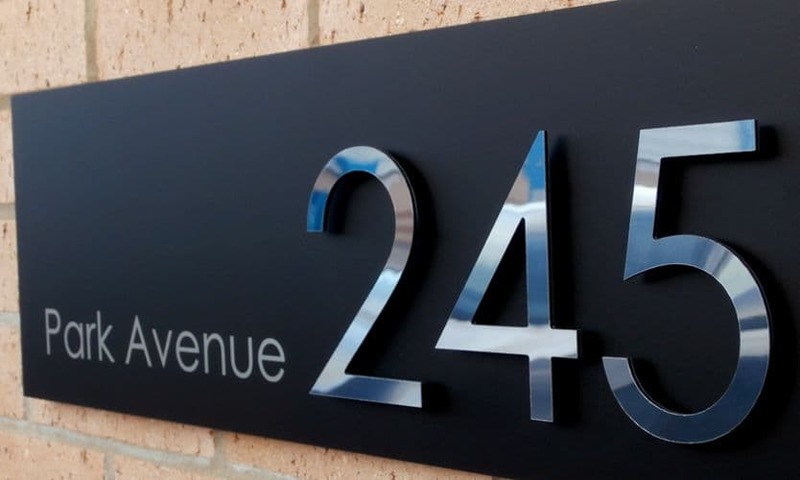 House number signs have come a long way from simple door numbers; they are now a visual way of expressing the look and feel of your home. Show off with flamboyant colours or keep it cool with understated address plaques. For extra visual impact opt for an LED lit sign to let everyone know exactly where you are. 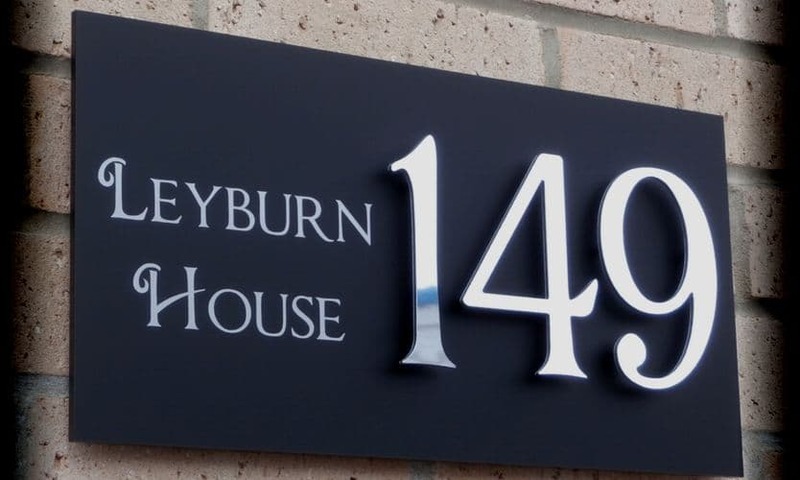 Our Italian range offers particularly unique house signs, in that while truly contemporary and fitting perfectly with modern build homes and apartments, with the right font choice it also blends with period properties, cottages and businesses. Your chosen design is precision laser cut from Italian matt acrylic with pin holes precisely positioned to mount your chosen numbers. Hidden fixings are applied to the reverse of the plaque. Your text is cut from finest vinyl in your chosen colour and applied onto the sign by our skilled team. 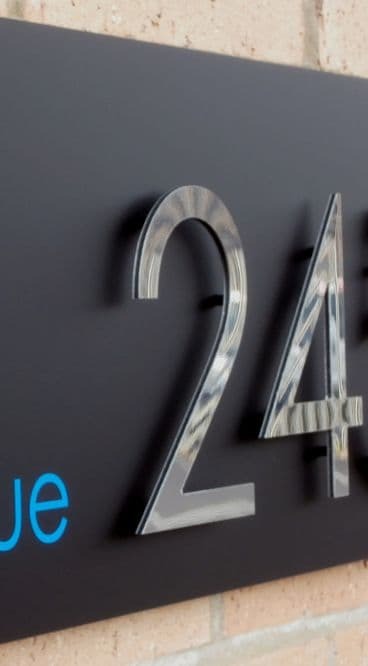 The numbers are CNC cut from branded aluminium composite and positioned with pins as to appear floating off the sign.Your finished sign is inspected, cleaned and safely packaged for our ultimate goal of providing you with a quality product that we took pride in making. Satin finish 5mm coloured Plexiglas acrylic plate. 3mm aluminium composite numbers. 11mm x 16mm tall, hidden stand-off supports. 1x assembled Sorrento sign, fixing supports + screws, 1x drill template and instructions.